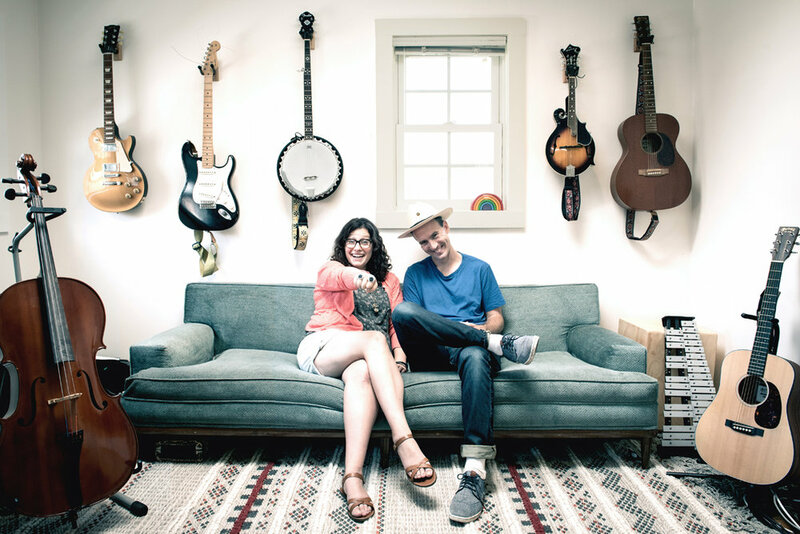 Andrew & Polly are award-winning music makers and the hosts of Ear Snacks, a podcast for young kids. Their seriously catchy earworms ("Grapes," "Dancing Pants") and inventive re-imaginings of classic favorites ("Forever Young," "Ghostbusters") are smart, quirky, and full of heart. The duo's self-produced albums have received Parents' Choice Awards (Odds & Ends, 2015 / Ear Snacks, 2016). Andrew & Polly were honored to receive the ASCAP Foundation Joe Raposo Children's Music Award in 2012. Together, Andrew & Polly compose and produce music for television and film. Their production credits include songs for Wallykazam!, Sesame Studios, the score to the Welcome To The Wayne and a bunch of boring commercials and films for grownups. It's a podcast for kids about the world. Andrew & Polly and their friends consider music, science, art and culture in a fun-filled family-friendly podcast that parents enjoy and younger kids eat right up. For more information, visit earsnacks.org. What is Ear Snacks? If you don't know, this should help. Please e-mail booking@andrewandpolly.com for booking information. Andrew & Polly compose and produce songs and score for children's television, advertising and independent film. Polly Hall is an Emmy-Nominated songwriter and Andrew Barkan has composed score for over 45 independent films, including five features. Their advertising experience includes work for GE, Levi's, Toyota, Nike, Starbucks and Sprint. Their work in children's television includes songs for Wallykazam, the score to the Nick Digital Series "Welcome to the Wayne," the score for "The Outsiders" and digital projects for Sesame Studios and Disney. E-mail andrewandpolly@andrewandpolly.com for licensing and work-for-hire requests - thank you for your interest.